Join Yoshi and his loyal friend Poochy in the Poochy & Yoshi's Woolly World game, a lovingly crafted side-scrolling platform game for the Nintendo 3DS family of systems. Launching on Feb. 3, the family-friendly game features six captivating and challenging worlds, each knitted to life with its own uniquely woven theme and bursting at the seams with secrets and collectibles. By tapping the new Yarn Poochy amiibo figure - available separately or in a bundle with the game - Yoshi can summon support from his friend in each stage. The Yarn Poochy amiibo figure also unlocks timed challenges for Poochy-themed stages that reward new designs for Poochy once players complete the missions. And the Yarn Poochy is not the only amiibo figure that works in the game. Try tapping the Animal Crossing or Splatoon series amiibo figures to play as a new pattern for Yoshi like Tom Nook, Isabelle, Callie or Marie. Tapping compatible amiibo figures and seeing what Yoshi will look like is part of the fun of playing. Many amiibo are compatible, so try as many amiibo figures as possible! New to the series, the Craft Yoshi mode will let you design your own patterned Yoshi. Using intuitive tools, you can use the Nintendo 3DS touch screen to design your own colorful and stylized Yoshi character. Your favorite pattern can even be shared through StreetPass! In addition to the game, one animated short starring Yoshi and Poochy will be unlocked every day for 30 days for people that own the game. These short stop-motion animations can be viewed through a menu in the game. Less experienced players looking for a little help can easily switch to Mellow Mode while playing Poochy & Yoshi's Woolly World to gain the assistance of Poochy Pups. These sweet little Pups will sniff out secrets and wrap up enemies, and can even double as yarn balls for Yoshi to throw. Poochy & Yoshi's Woolly World will be available on Feb. 3 at a suggested retail price of $39.99, and can be purchased in stores, in Nintendo eShop on Nintendo 3DS and at Nintendo.com. A limited-edition bundle that includes the game and the Yarn Poochy amiibo will also be available on Feb. 3 at a suggested retail price of $49.99. Additionally, the Yarn Poochy amiibo can be purchased separately at select retailers at a suggested retail price of $16.99. 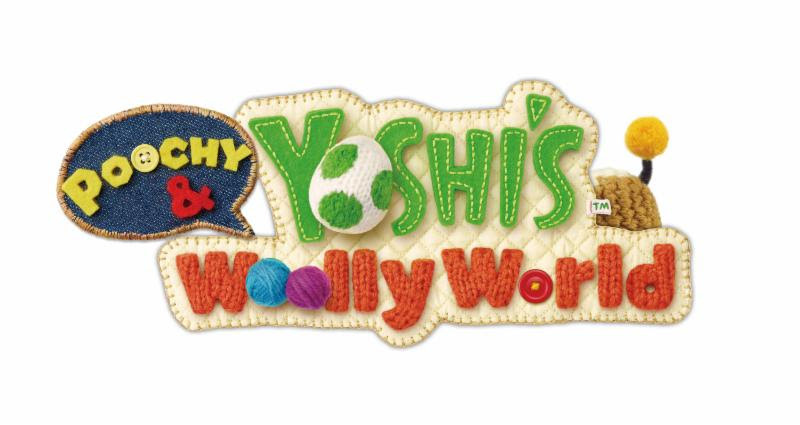 For more information about the game, visit http://yoshiswoollyworld.nintendo.com/. If you have any questions, please don't hesitate to contact Lisa McKendall at Golin at 310-641-1556 or lmckendall@golin.com. *We can't confirm that Poochy & Yoshi's Woolly World will indeed be the cutest game of the entire year, but it is definitely adorable.